Naughty!! 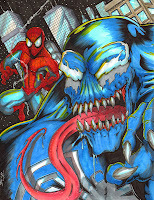 8.5x11 Pen, ink and watercolor on card stock. Now available in my ArtFire store! Available Here! With the release of The Walking Dead trading cards this past Friday I figured I'd post a few of the cards I did for the set over this week or so. To start here is a 3 card puzzle I did for it. 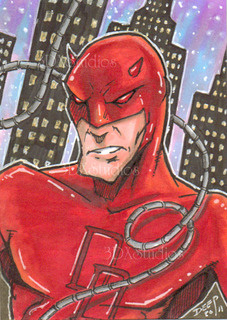 It was done by candle light due to being without power during Hurricane Irene (as were a large number of cards I did). The left card even feature myself as a Walker! Some new and past stuff up on EBay this week. 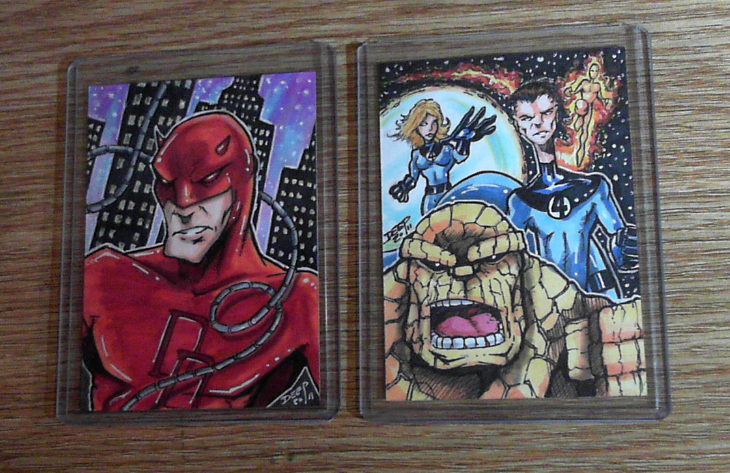 The Daredevil and Fantastic Four sketch cards and the original 8.5x11 art of my Spiderman/Venom print. These will only be up for a few days to make sure they will arrive in time for the holidays. 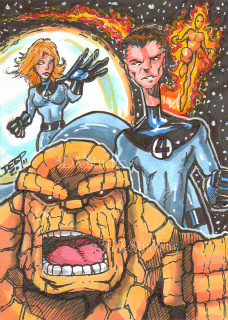 Decided to take a break from some set work and do a couple of PSC's. These will be going up on EBay soon. I'll post up a link when they are up. Also working on a special Christmas image for the holidays when time allows. I'll post up some shots of that soon!